Alterations Plus has been in business for over 21 years, but we are still just as dedicated to giving the highest quality service at an affordable price. We offer a variety of services in our Boise store just off State Street at Lake Harbor which range from tailoring, to wedding apparel and your everyday clothing needs. 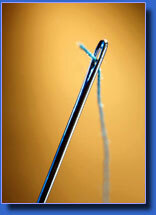 We also specialize in textile prototyping . . . bring us your ideas for a textile product and we will help you custom design and produce it. We specialize in custom clothing such as kilts, dresses, wedding gowns, shirts, and much more. Whatever your need is we can provide it. Bring or send your project to us, and we'll do the rest. 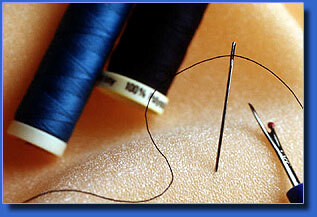 Alterations Plus is pleased to offer a large variety of services to our customers in a helpful and pleasant atmosphere. 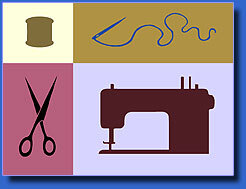 The years as a Boise seamstress have given us much experience and confidence in our abilities, and desire to give to you, our customers, the very best service available. Alterations Plus is aware that there are times when you need it now!, so we offer a rush service for those left-it-a-bit-late jobs. A mail order service is also offered, whereby your alteration orders are dealt with promptly at our Boise store, and shipped back in a timely manner. Thank you for your time, and I hope to have the pleasure of serving you in the near future. SEW . . . WHAT CAN WE DO FOR YOU?! Our services include: Mail orders, rushes, fittings, preservation kits, cleaning of wedding gowns, pressing, slips for wedding dresses, formal wear, Prom, any bridal wear, groom's apparel, flower girls, temple fills, chuppahs, suits, repair to any clothing, uniforms, ski wear, and beading. Bring in a picture and we will make it for you! Our custom dressmaking includes veils, wedding gowns, bridesmaid dresses, and mother-of-the-brides.
. . . lining, pressing, repairs, cuffs on pants, hemming pants, side seams, waistbands, zippers, rushes available, tux measurements, bow ties, skirts, blouses, dresses, jackets, coats, ski wear, patches, buttons, hand sewing, tailoring, tapering, costumes, lingerie, or any of your specialized needs. Alterations Plus has an acknowledged nationwide following as we offer the highest quality tailoring and custom made articles along with bridal needs. We do alterations on all the 'name' brands such as Alfred Angelo, Forever Yours, Sweetheart Gowns, Randy Couture, Jasmine, Mori Lee, Jessica, Demetrios, St. Patrick's, David's Bridal, Sweetheart Manor, Mary's, Monique, Maggie Sottero, Vera Wang, Eden, Bill Levkoff, Watters and Watters, Lazaro and many others. Monday to Friday: 10 a.m. to 6 p.m. Saturday: 11 a.m. to 4 p.m.